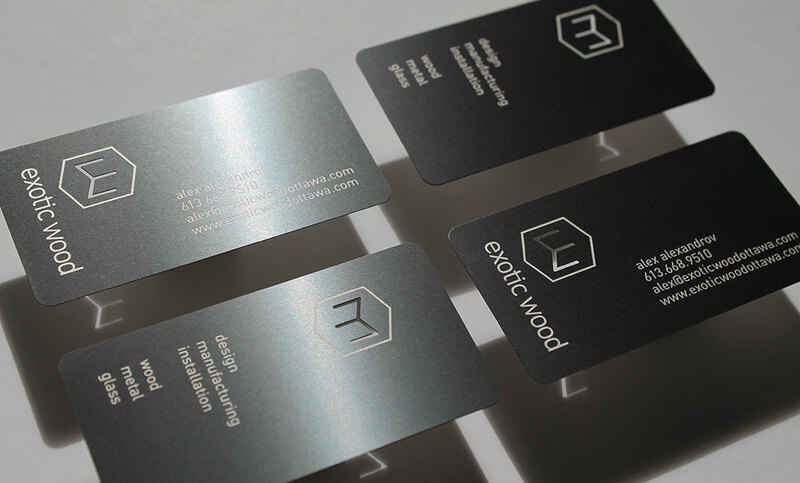 “Why metal cards for a company called Exotic Wood?” These cards were designed to be a conversation piece—something that would create a memorable moment. Exotic Wood designs, manufactures, and installs custom furniture, kitchens, doors, etc., as well as carries a line of retail pieces. They work in wood, metal, and glass. 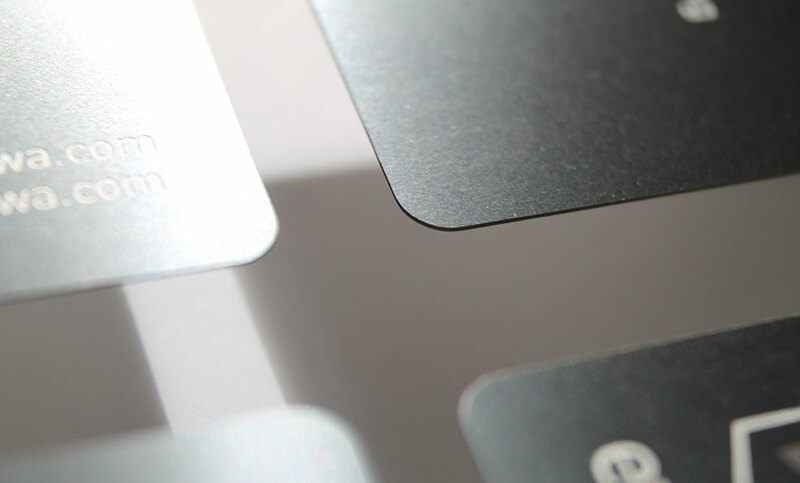 The metal card helps to communicate this, overcoming what could be seen as a potential liability of the established company name. 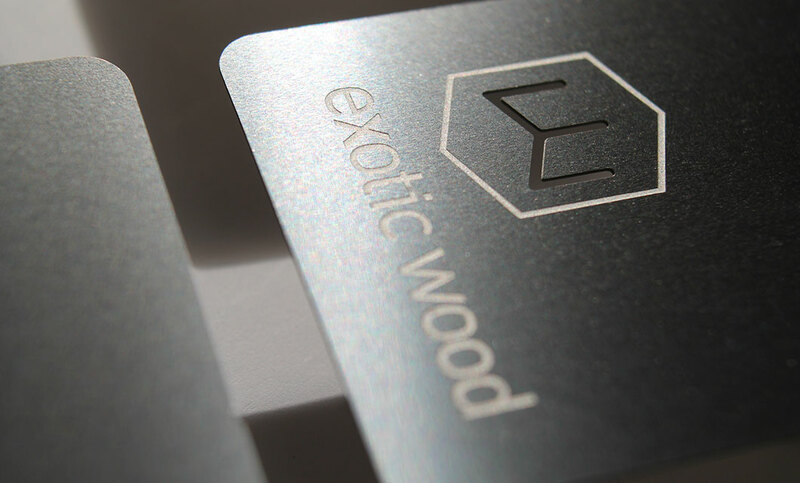 Exotic Wood doesn’t create Colonial style furniture, and the branding was to reflect their minimal and modern design aesthetic. The logo uses an abstract E to form a block of wood out of the hexagon. 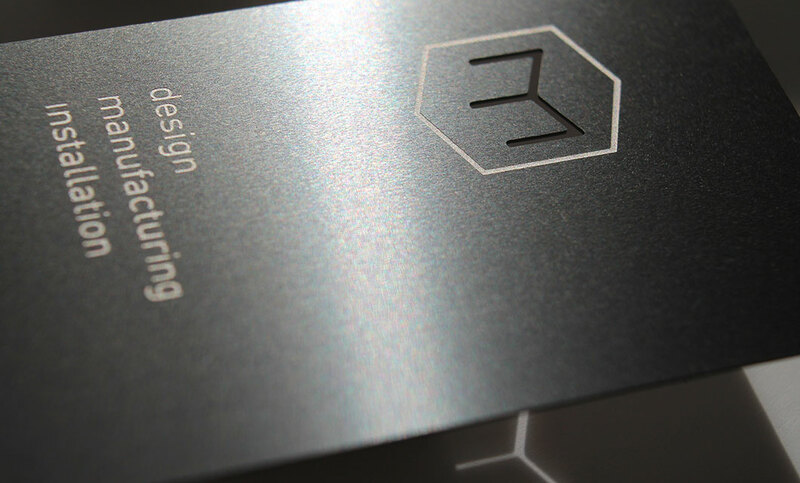 The logo and type were designed to sit multiple ways to reflect the three-dimensional quality of furniture and mimic it being viewed from various perspectives. 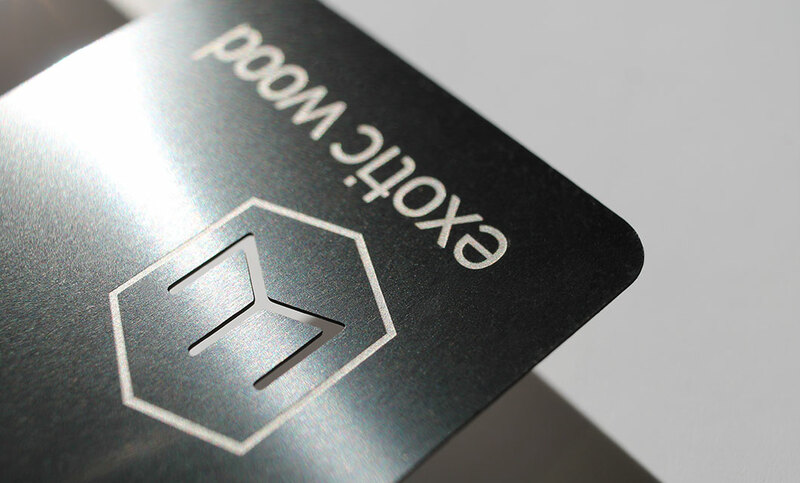 When turned, the logo can be read as a W and even a table can be seen when it is turned sideways. The wood sample blocks from the presentation deck provide a good explanation of the logos development. 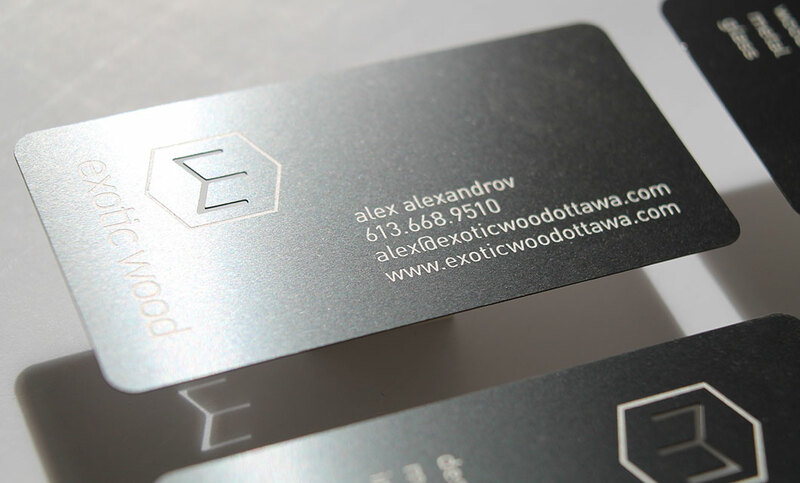 The metal cards are etched and carved using cosmetic grade, 300 microns, rolled stainless steel. Wooden business cards were also produced to provide an economical option when handing out cards en masse. Both sets of cards have received a strong and positive reaction. I am currently working on the website and a few other pieces for Exotic Wood and will add it to the portfolio when complete.